The Lenovo smart watch features a heart rate monitor that lets you know about your heart rate all day long. The Lenovo Smart watch works in two modes, one is the regular mode, in which you can keep a track of your heart rate at pre-defined intervals of time all day long. In the sports mode, the band automatically keeps track of your heart rate in every 15 minutes. The watch will vibrate when your heart rate has reached its designated brink. It is an indication that you should slow down. 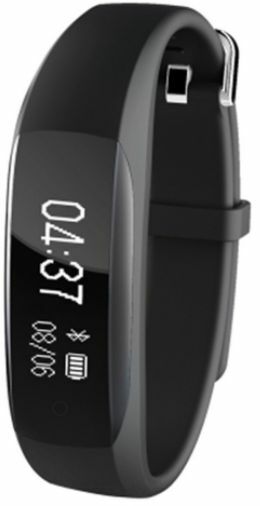 This Lenovo smart band features an anti-sleep mode that automatically signals you to wake up if you are falling asleep outside of your designated sleeping schedule. The mode also alerts you if you lose your concentration or fall asleep while you are driving at night or while working. In addition to anti-sleep mode, this smart band vibrates when a notification comes so that you never miss anything important including your calls, emails, messages, Whatsapp, or Facebook notifications. With this app, you can share your health goals achievements. It is compatible with both Android and iOS devices. This band features a comfortable yet durable strap that doesn’t cause any irritations to your skin. It has been placed under several pressure tests that assure of its durability. During its testing, it has kept under extreme temperatures, which shows that it can be used in both cold and hot temperatures. 91.4% of users recommend this product to a friend.